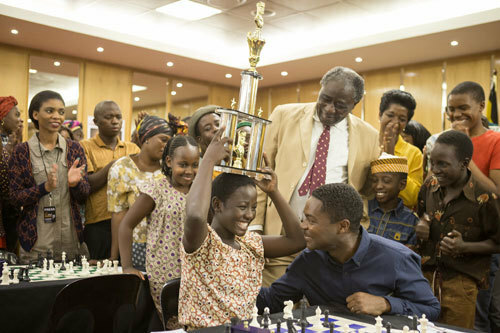 Queen of Katwe focuses on teen Phiona Mutesi who, in real life, went from selling veggies on the slum streets of Katwe in Uganda to being the national chess champ of her country. In the film, Lupita Nyong’o (12 years a Slave, Star Wars: The Force Awakens) plays Nakku Harriet and newcomer Madina Malwanga plays her daughter Phiona. 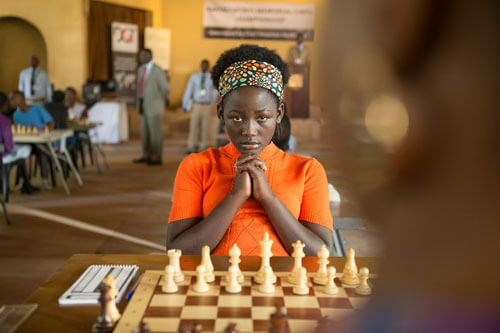 Madina, whose life parallels her character (she also sold veggies on slum streets until discovered for a dance academy) learned to play chess for the role and is still perfecting her English so Lupita does most of the talking in this fun interview. Check it out! Q: Lupita, what, about this story stood out for you and made you want to be involved in the movie? 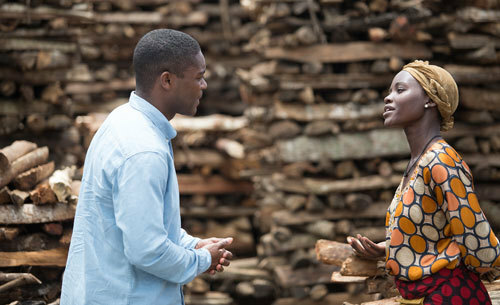 Lupita: This was a very intimate story. Oftentimes when it comes to stories based on the African continent, it’s larger-scale stories of dictators and wars and famines and things like that but here we just have a small girl with a big dream who achieves it. And there was a female character at the center of it and it’s a story about realizing your dreams and the power of dreams. For me, this is a testament for my life having gone with my passion of acting and having done so well. (This film is) an anthem for the younger generation (saying) how valuable it is to find out what you are passionate about and put your mind and heart to that because then you are of use in the world. 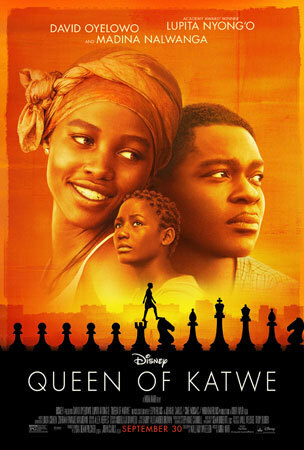 Fiona couldn’t have known that when she was pursuing chess that it would one day pull her family out of poverty or that her story would one day become a larger story in Hollywood or that she would one day be an icon for her country. For me, this is about the power of your passions that what it can do in the world. That’s what drew me to this story. Q: Why does your character, chess champ Fiona’s mom, try to discourage her big dreams? Lupita: (My character) had been a teen mom. She had her first child when she was 15. And then her husband dies of AIDS, and leaves her with five children so she had known nothing but strife, and that was the world she was preparing her children for. Her dreams have been shattered. And so dreaming is dangerous, because it can lead to disappointment. And so it is out of fear that she tries to protect her daughter from having lofty dreams. But the journey she goes on is to realize that the best way to show her daughter true love is to let her go, and try and achieve the things that were not possible for her. Q: Cool! Madina, you had never acted in a film before nor been to a movie theater before you were on this project and you went and saw Jurassic World. What did you think when you saw your first movie on a big screen? Q: Lupita, you are a fashion icon. In this film you wear the traditional clothes well. Lupita: Thank you. Well, in this movie, I was not responsible for that. It was Mobolaji Dawadu’s work, and he has an incredible eye. The clothes were one of the things that would launch me into my character. They were so specific, and I felt a transformation when I got into those clothes. I have a mother who I’ve always thought has been very stylish. She really takes care of how she looks, and she imparted that on us - like, how you dress is a sign of respect for yourself and for those around you. And I enjoy it. I enjoy expressing myself through how I look. Q: Your character is balancing a lot of heavy items on her head. Was that hard for you? Lupita: No, actually because I grew up in Kenya and we have quite a few similar cultural aspects and that’s one of them. I would watch the women of my village balance things on their heads and it’s one of the games we would play as children to balance things on our heads. When I would visit my grandma, she would send us to fetch water and that’s where you would put the water, on your head. So, for me, it was so cool to put all this to use (in a movie). Q: Madina now that you’ve filmed your first movie in Uganda, where would you want to shoot your second one? Q: Ah, national pride! How much time did you spend with the people you are playing, Fiona and Harriet? Madina: Actually Fiona (had gone) back to school so we met one time on set and that was it. (Director says that they connected because they had lived very similar lives. They both sold corn on the streets). Lupita: Well, I got to Uganda about three weeks before we started shooting and one of my first stops was to visit Harriet. I sat with her for an afternoon and we just talked about her life and I observed her. She is very grounded, very enigmatic. There is a reserved quality about her but also a warmth. Those were qualities I wanted to honor in my performance of her. I just talked to her about her childhood and how she got to the point she got to. She’s also a very practical woman and a woman who will sacrifice everything except her principals. Q: Madina, what was the funniest thing that happened to you on the set? 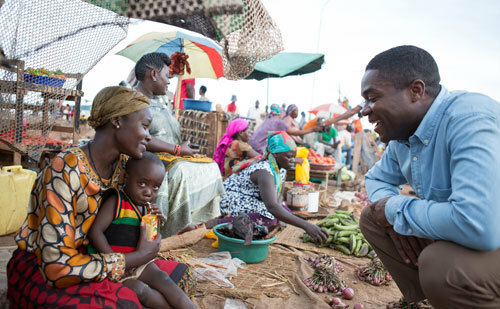 Madina: Seeing David (Oyelowo) jumping around doing the cat and dog scene. It was hilarious. Q: Lupita, how does making this film stand out from other movies you have done? Lupita: Well, people leave crying after 12 Years a Slave (for which she won an Oscar) but they are happy. This was uplifting, we had so many moments of laughter and joy making this film. It was the same on 12 Years a Slave, but my heart swelled with love in this film. I’m not a mother but I had to mother these children and I was so nervous about doing that. But they really opened themselves up to me. I remember the first time I met Madina. Somebody had told her I’d be playing her mom and she said “Hi, mom!” and she’s been calling me mom since. These children had such a curiosity about this craft of acting. They were so absorbent. I watched Madina get deeper and deeper with every take and that was so encouraging. Q: Madina, how were you inspired by this film? Madina: When I was shooting this movie I felt like I was doing MY story. Fiona inspires me and I really adore her (like a big sister). 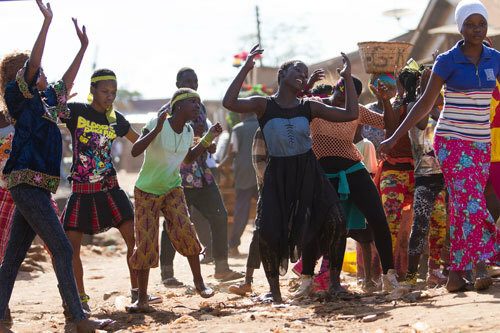 See Queen of Katwe starting September 30th in most theaters! Do you believe in following your dreams? What is your life’s goal? Do you like movies in which the “underdog” makes good? Leave a comment! Chess, Checkers or Dragon Chess? Dragon Chess all the way! I'm a classic Chess fan.